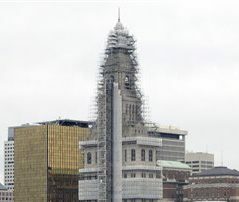 What is Hartford Through Time? Hartford through Time is an internship teaching site in WordPress for UConn students interested in earning credit hours through their department. How Should I Navigate this Site? Navigating the site is easy, just click on the Themes menu to access different historical essays about Hartford organized by themes. Hartford through Time by http://scholarscollaborative.org/Hartford/ is licensed under a Creative Commons Attribution-NonCommercial-ShareAlike 4.0 International License.